The demand for energy gel products has evolved increasingly on account of the impetus generated from the changing dynamic of sport nutrition market. Sports itself, including endurance events, has witnessed considerably exciting dynamic as a result of constantly changing people’s attitudes and government’s outlook. Athleticism has prospered as a profession in several countries across the world. Moreover, people both young and older adults, especially in emerging economies, are increasingly showing a marked proclivity toward half marathons and marathons. Defining the trend in the consumer preference of energy gel products, however, isn’t so strait forward, and hence has unlocked flurry of activities among producers of energy gel products. Increasing awareness about sports nutrition has also expanded the understanding of the mechanism of a range of energy gel products in the market. Still, the effectiveness of glycogen delivery products is still open to debate among the worldwide consumers community. Recent body of research has shed some light on nutritional challenges underlying the pressing need to meet the optimal performance for the ultra-endurance athletes. This has also revived their interest in the performance level of a range of energy gel products in ultra-endurance walking and running events. Developing an optimal nutritional strategies among athletes has been generating copious interest in the efficacy of ingredients in energy gel products. In particular, ultra marathon runners are showing affinity toward an array of energy gel products in the market to meet their nutritional requirements. However, more studies are needed to explore the dynamics further. Athleticism or sports have been formulating a successful career mostly in the developed countries for a sustained period of time but in the recent past, governments of a number of emerging economies have escalated their emphasis on sports activities – or Olympics to name the prominent one. More youngsters than ever are now aspiring different types of athleticism as profession and consequently, the products that support their progress are gaining traction. Energy gel products are ideal for those who push humanly-limits, and need to recover quickly. Filled with adequate or customized amount of carbohydrate; currently available advanced energy gel products are highly useful for professionals or aspirants of endurance events such as swimming, running, and other sports. According to the findings of this business intelligence study, the energy gel products market is on the rise, and will remain so throughout the forecast period of 2017 to 2025, with most of the newer opportunities coming from the developing countries. This energy gel products market report is a comprehensive study of all factors, such as trends, drivers, challenges, and restraints that will determine the demand going forward to the next eight years. 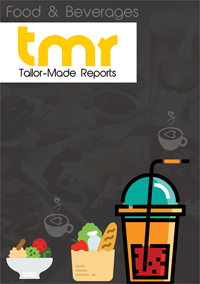 Compiled by experienced market research analysts, this report is an all-inclusive business-decision making tool for its targeted audiences such as raw material suppliers of nutritious food products, sports authorities and government agencies, manufacturers of energy gel products, and regulatory authorities. Apart from segmenting the market into smaller aspects and evaluating their demand-prominence in the near future, this report gauges the demand-potential of every important region and country. Finishing a thorough-study for its B2B clients, this report contains a featured chapter on the competitive landscape of the global energy gel products market, wherein a number of prominent companies have been profiled for their product portfolio, regional and country-wise dominance, and recent strategic decisions. Introduction of flavored products is opening considerably new revenue avenues for the players in this market, catering to individual choices and sustain their ground. In addition to that, these products can be packaged in a manner of rapid consumption as well as delivered not only via retail shops but the trend of ecommerce is engulfing too. Based on flavor, the energy gel products market can be segmented into fruit, including strawberry, orange, lemon, and raspberry, chocolate, vanilla, and others. On the basis of distribution channel, the market can be bifurcated into specialty stores, online stores, supermarket or hypermarket, and others. The lack of side-effects if consumed according to the guidance of professional dietician is another key driver of this market. The growing level of awareness regarding the benefits of these products, owing to deepening penetration of smartphones among urban population, is anticipated to be a boon. The developed countries of the U.S., Australia, and other European nations have been the most prominent consumers of these energy gel products. However, vastly populated emerging economies of China and India are primed to expand their demand at a much stronger growth rate during the period of 2017 to 2025 and turn APAC into a region of high potential in the near future. CarbBoom Energy Gel, Getorade, Clif Shot Energy Gel, GUEnergy Gel, Honey Stinger Natural Energy Gel, and PowerGel are some of the notable companies currently holding a prominent position in this market.